Acontium napellus, Monks hood or Wolfsbane. 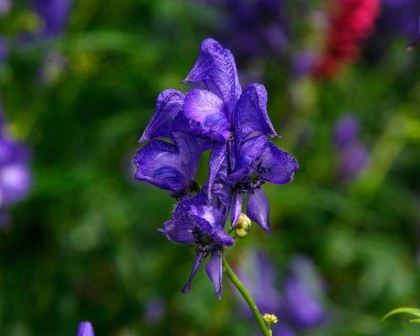 Aconitum napellus or Monk's-hood is a tuberous rooted, herbaceous perennial with rounded leaves that are palmately divided in to 5-7 segments. 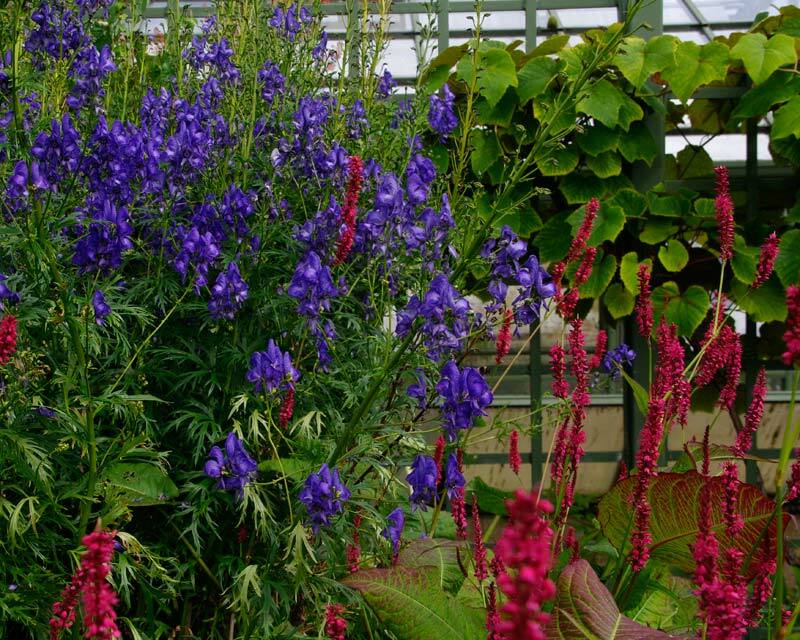 On a tall central spike appear terminal racemes of deep blue to purple, narrow, helmet-shaped flowers that stand proud and make a lovely splash of contrasting colour in the middle of deep, mixed borders. Although generally known for its distinctive electric blue colour, other cultivars have emerged that are white and rosy-pink. They go well in informal garden settings and especially well around water features being native to moist pastures and mountain areas. They make excellent cut flowers and are also good for drying too. N.B. 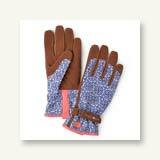 wear gloves when working with this plant, avoid skin contact or contact with open wounds. Also avoid planting close to where children play or directly alongside vegetables or herbs. 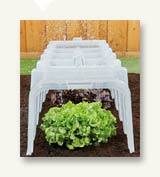 Soil: Moist and rich soils with plenty of organic matter added. Choose a sunny location with a little shade throughout the day - more in hotter climates, less in cooler climates. Maintenance: Ensure soils do not dry out, without allowing them to become waterlogged. they can require some support when at full height. 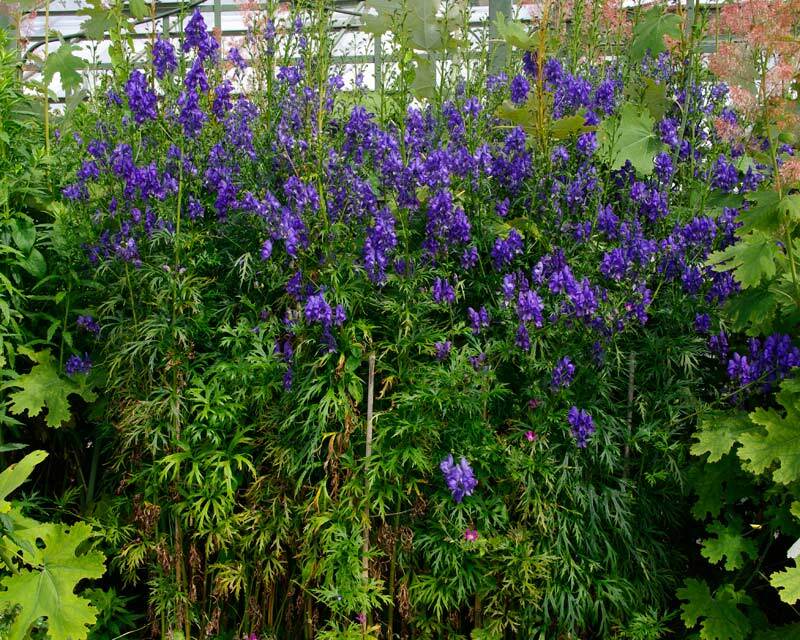 Cut back stems after flowering to promote further growth later in the season. Propagate by division once established, which can take a few years. 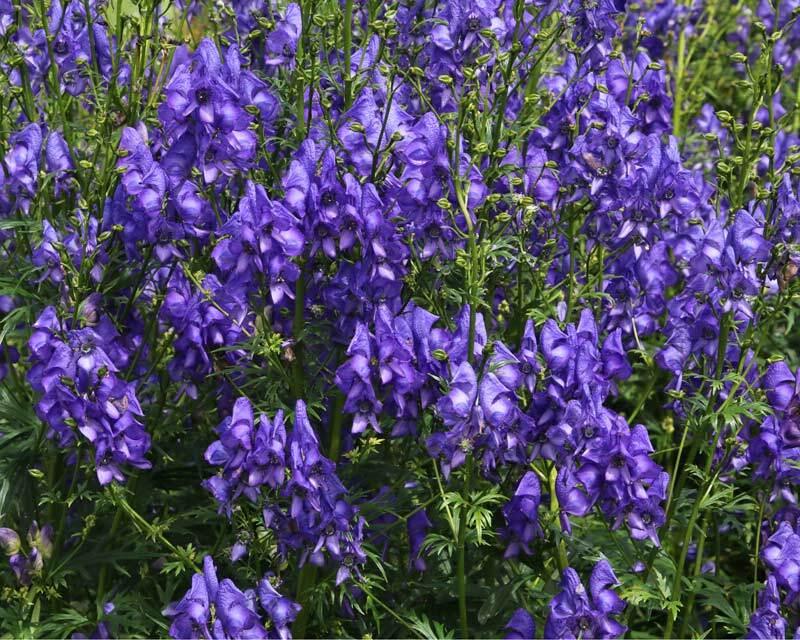 Other Species: Closely related to the Delphinium, to which it bears some resemblance. 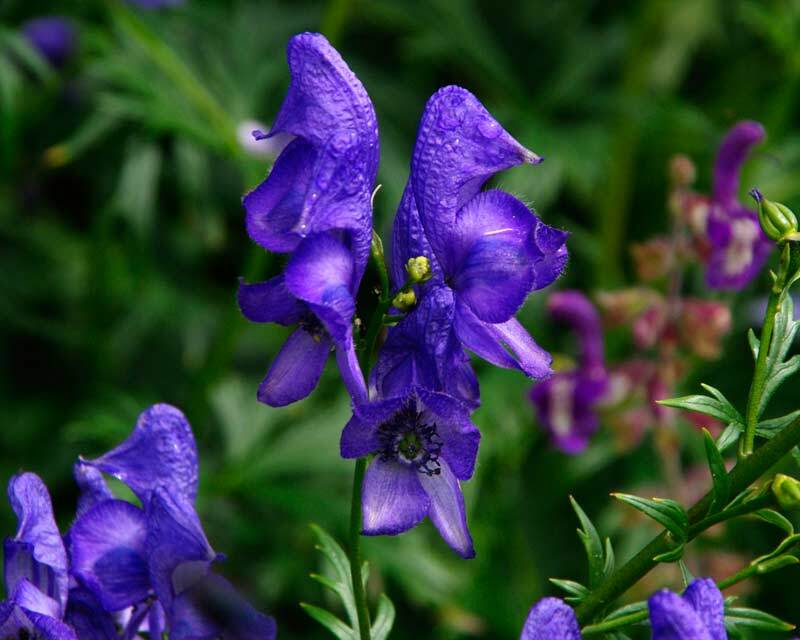 A popular cultivar is Aconitum × cammarum, Acontium persicaria and Acontium lycotonum which is cream coloured. 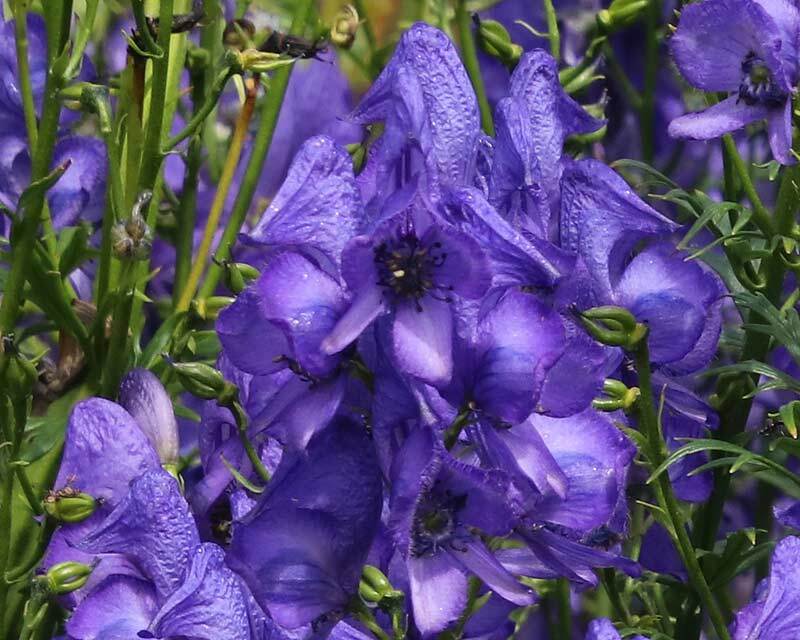 Comments: This popular plant is one of the most poisonous in common cultivation. However it has such an unpleasant taste that cases of accidental poisoning are extremely rare, though not unknown. Acontium napellus extract was used on spears and arrows for hunting and battle in ancient times as it contains a variety of poisons that have cardiac effects. It was also often used in potions to kill off rivals containing chemical alkaloids like aconitine, mesaconitine, hypaconitine and jesaconitine which are all highly toxic. Game of Throners will probably recognise the way King Joffrey died after drinking from a poisoned chalice.